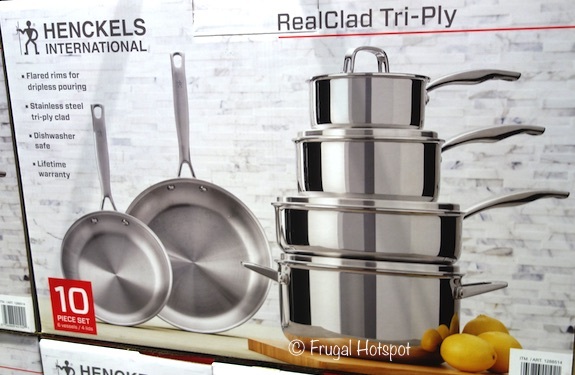 These brightly polished pans are oven-safe and broiler-safe up to 500° F, and are safe for gas, electric, ceramic, induction, and halogen stovetop burners. Select Costco locations have the J.A. 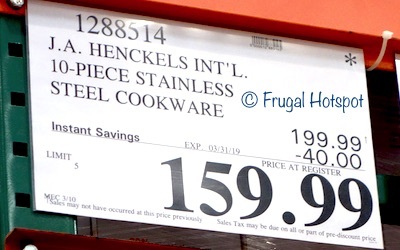 Henckels International 10-Piece RealClad Tri-Ply Stainless Steel Cookware on sale for $159.99 (after instant savings), now through March 31, 2019. That is $40 off Costco’s regular price of $199.99. While supplies last. Item #1288514. It’s also available at costco.com for a very limited time. 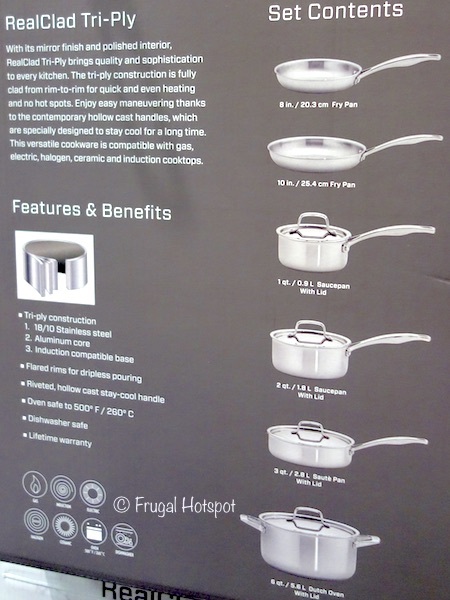 Stainless steel layers with an aluminum core middle distributes heat evenly not just across the bottom of the pot but up the sides, and requires only low to medium temperatures. • Tri-ply stainless steel and aluminum construction distributes heat evenly. • The rims are flared for easy pouring. • Hollow, stay-cool handles are riveted for strength and have a handy hanging hole if you like to hang your pots and pans from a rack. • 18/10 Stainless-steel interiors resist sticking and is fine for use with metal utensils. 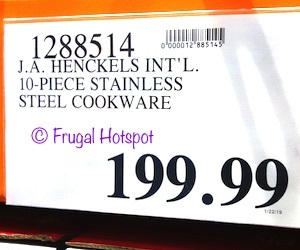 • Although it is dishwasher safe, Henckels recommends washing by hand to retain the mirror finish. • Gas, electric, ceramic, induction, and halogen compatible. 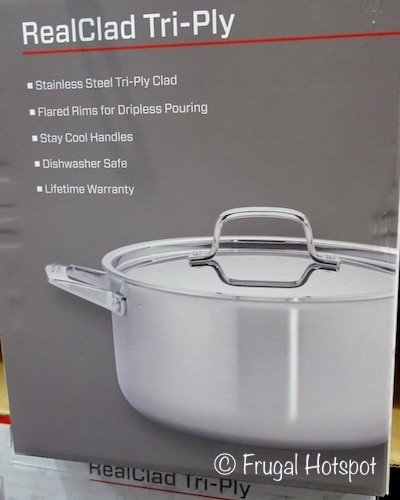 • Oven and broiler safe to 500° F.